Remove the oil cooler coolant outlet hose clamp (1). Remove the oil cooler coolant outlet hose (2) from engine coolant thermostat housing. Remove the oil cooler coolant inlet hose clamp (3). Remove the oil cooler coolant inlet hose (4) from water outlet. Remove the oil cooler coolant outlet pipe bolt (7). Remove the 3 oil cooler bolts (5). 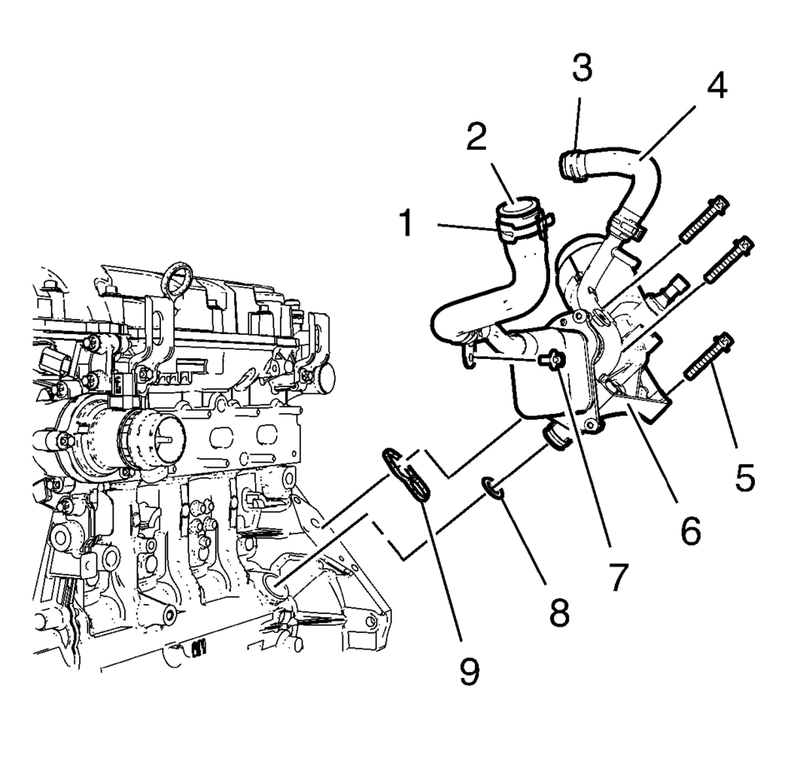 Remove the engine oil cooler assembly (6) and the 2 oil cooler sealings (8) and (9).